It's Super Bowl Sunday and we are relaxing and snacking on some great food. Oh there's also a chocolate cheesecake from the Cheesecake Factory in the refridgerator. Yum yum. 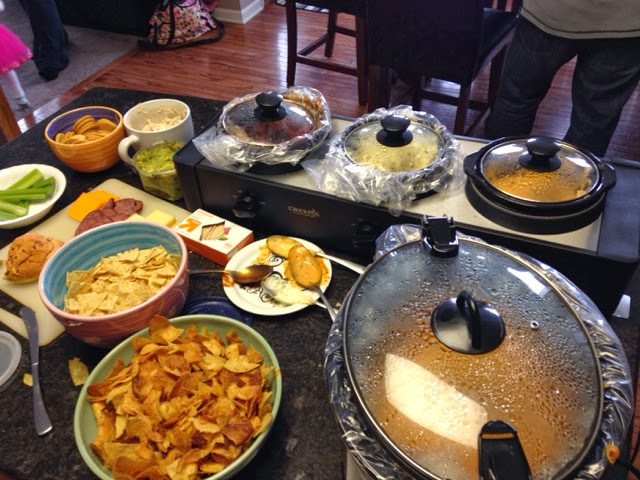 We broke out all the crockpots for today's appetizers. It's going to be a great day. Hope you are enjoying it with friends and family and eating lots of great food.